The success of a battle depends on the speed and dynamics of the fencer. He has to attack or avoid the opponents with fast movements. When choosing the fencing equipment, the shoe is therefore crucial. It determines the right grip on the piste and can thus prevent injuries. There are several providers. The most famous leader of fencing shoes are the companies Adidas and Nike. The Adidas company offers the model D'Artagnan, fencing shoe En Garde and the fencing shoes Patinando. 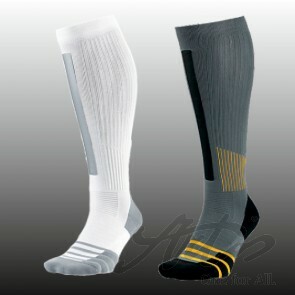 The company Nike has the top models AIR ZOOM FENCER and MULTI WEAPON. The model MULTI WEAPON from Nike is an all-rounder. With its special shape, it can be used both for fencing as well as for athletic exercises. He protects with his soft sole the joints. The fencing shoes MULTI WEAPON is a must for any successful fencer with high training intensity. The fencing shoes Nike MULTI WEAPON also impresses with its attractive price. A great fencing shoes for beginners. The fencing shoes Nike AIR ZOOM FENCER is used worldwide by top fencers. The quality and durability of this Nike fencing shoe is excellent. The fencing sole of the Nike AIR ZOOM FENCER has a very good grip. This Nike fencing shoe has a special sole for metal and textile pistes. The Nike ZOOM FENCER is the right fencing shoe for patented ARTOS piste. The Fencing shoes should always be dried after use, so that an unpleasant bacteria formation is prevented. One tip is to stuff the shoes with absorbent paper. 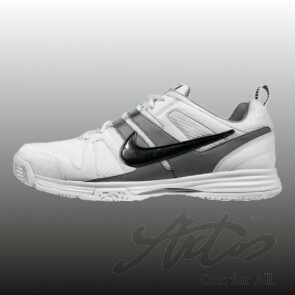 The fencing shoes Nike AIR ZOOM FENCER has a fixed insole. The insertion of a specific or individual insole is easy. Nike is with his fencing shoes official partner of the German Fencing Federation DFB, the Fencing Federation of France and Italy, the US and others.